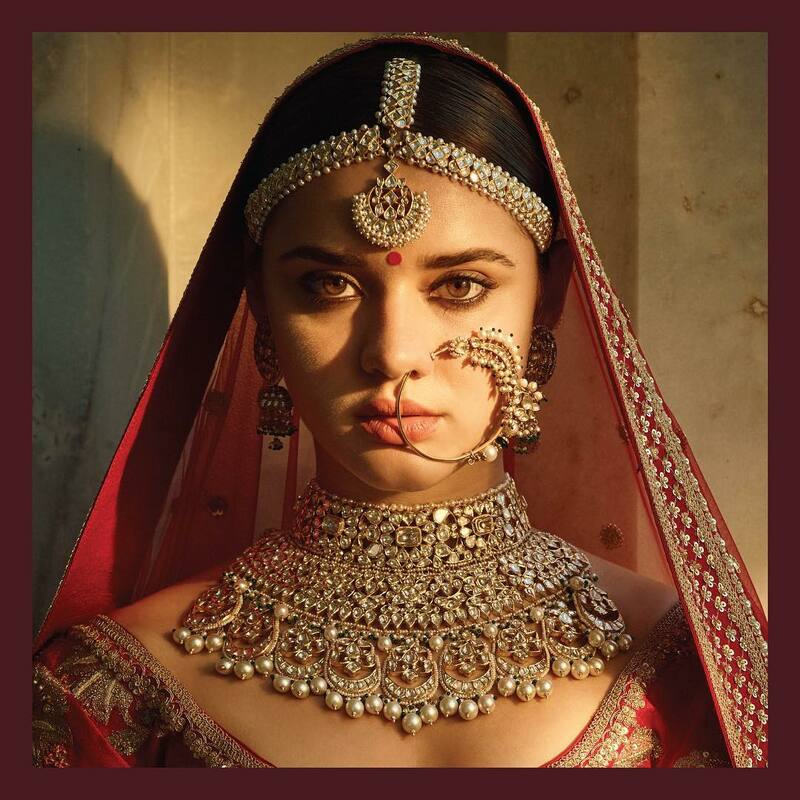 An Indian bridal ensemble remains incomplete without the exquisite touch of its traditional yet fashionable jewellery that adds charm and grandeur to the whole look. Every piece of jewellery is a part of what is called “solah shringar” that takes the beauty of bride to a whole new level. But it does not stop there most of the parts of the stunning Bridal jewellery ensemble have many health benefits. The Indian bridal jewellery is what defines essentially the look of the brides being an essential ingredient of her whole look. 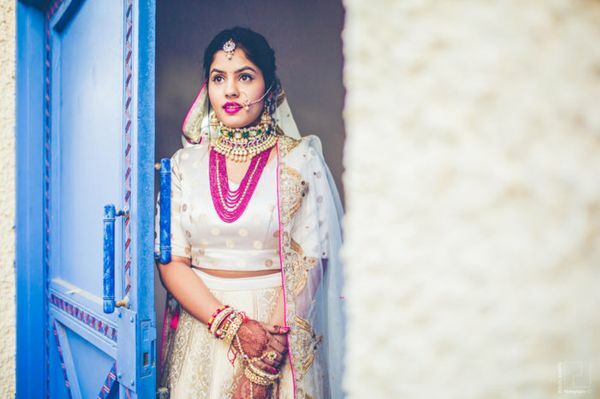 So get ready to droll and awe at these amazing real brides of 2017 who donned on amazing and stunning bridal jewellery on their D-day. 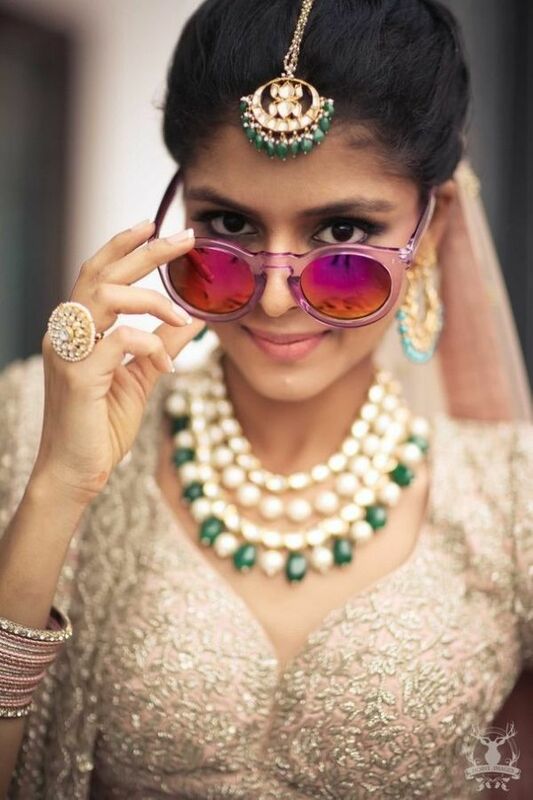 From pearls to customized designs, from colored stones to temple jewellery these brides go for the modern and stylish pieces blended with various color combination leaving us spellbound. Here are stunning bridal jewellery we picked from weddings held in 2017 that gave us major bridal goals. Temple jewellery alone has a unique charm that catches everyone’s attention, so does polki designs but you can never imagine both of them together. Well! 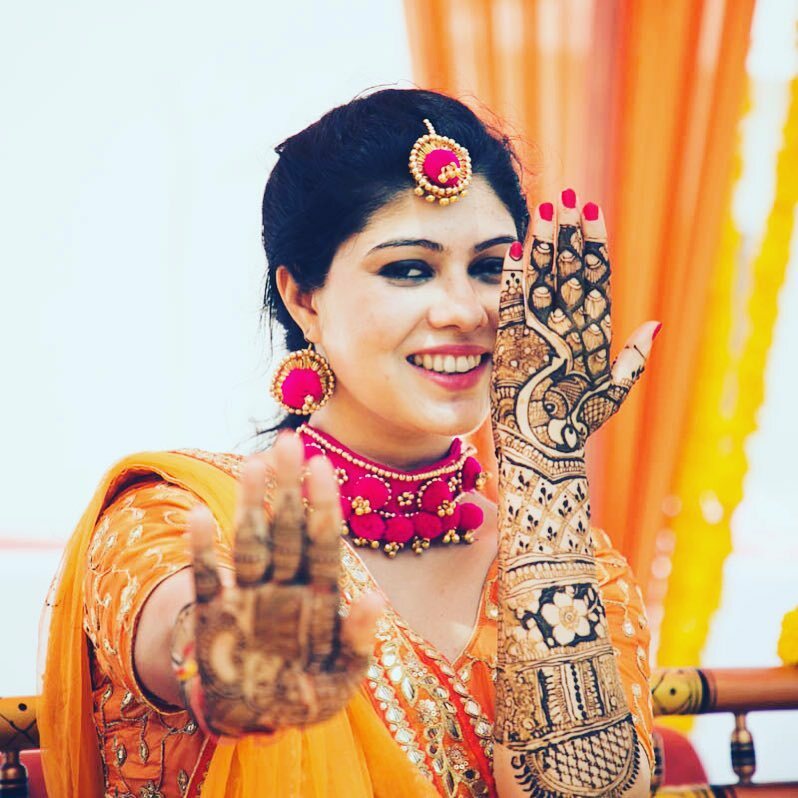 this bride donned a different design, it becomes a blend of temple design to polki necklace. The whole look is simple, elegant and eye-catching. If you are planning to go for a monochrome dress but you are confused regarding the jewellery then this brides will surely give you some ideas. Just pop the color and contrast your dress to your jewellery just like her. She is donning a dull color lehenga with green and pink pop jewellery that adds quirkiness to her look. Our traditional bridal colors, that is red, green, gold and white all blended together to bring out the bridal best in you. 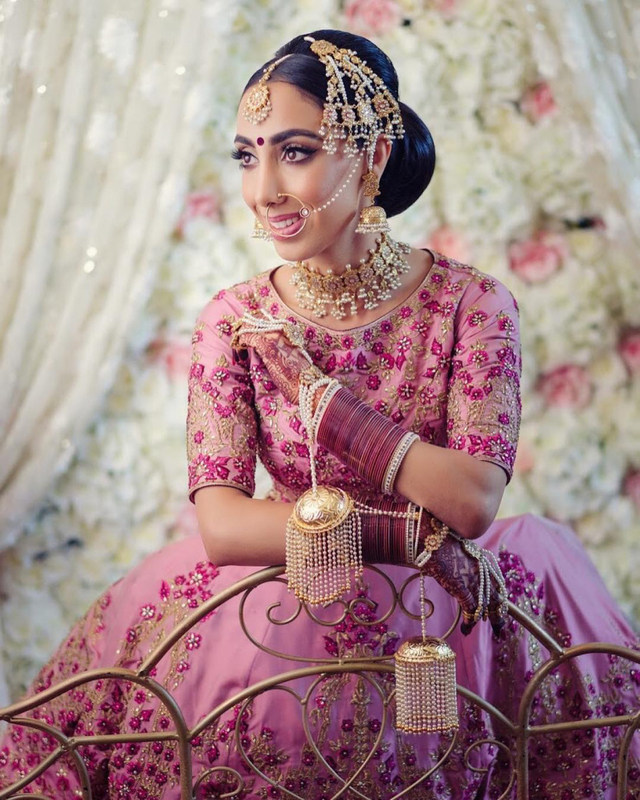 The bride looks gorgeous in her stunning bridal jewellery. You may have seen flower jewellery, gota patti jewellery and other precious stones jewellery donned by brides. 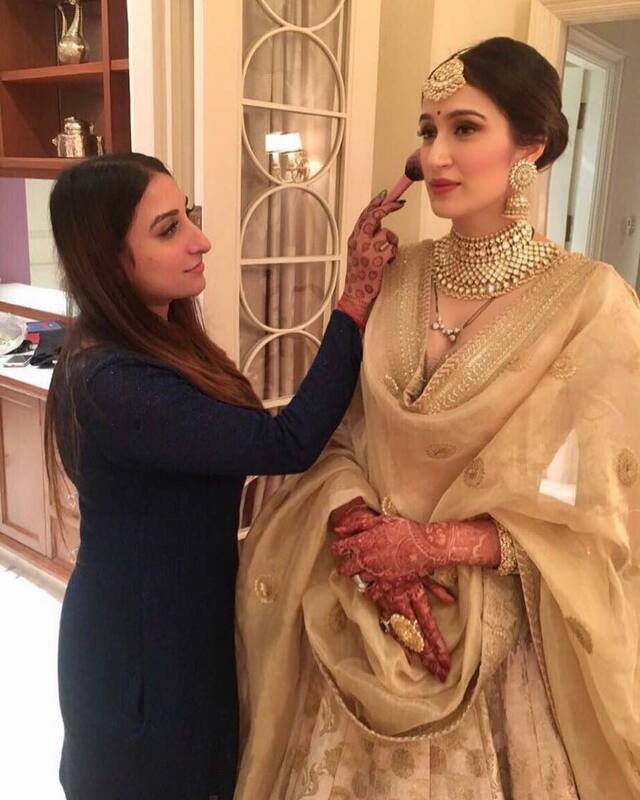 But you may have never seen ghunghroo being the main feature of bridal jewellery. 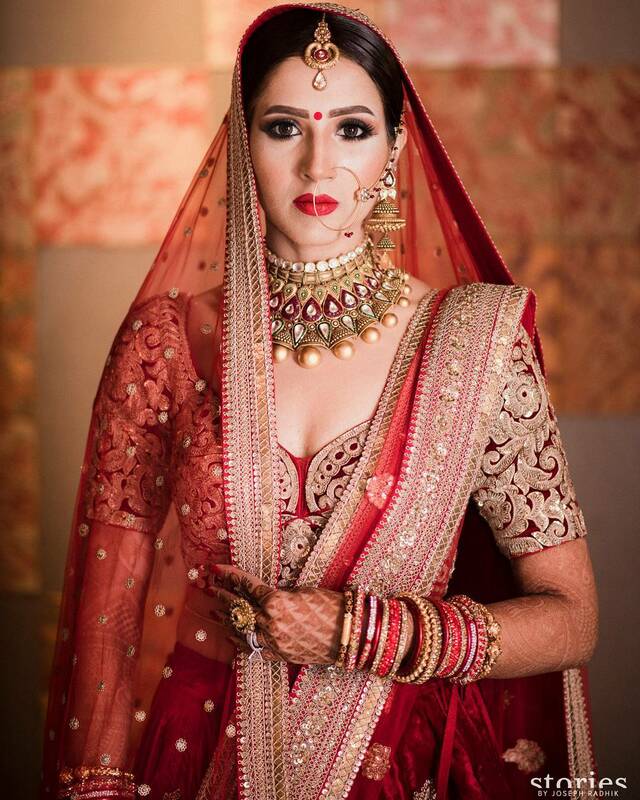 This bride jewellery essential beauty lies with the ghunghroos and they look awesome. This stunning bridal jewellery is a definite eye-catcher. 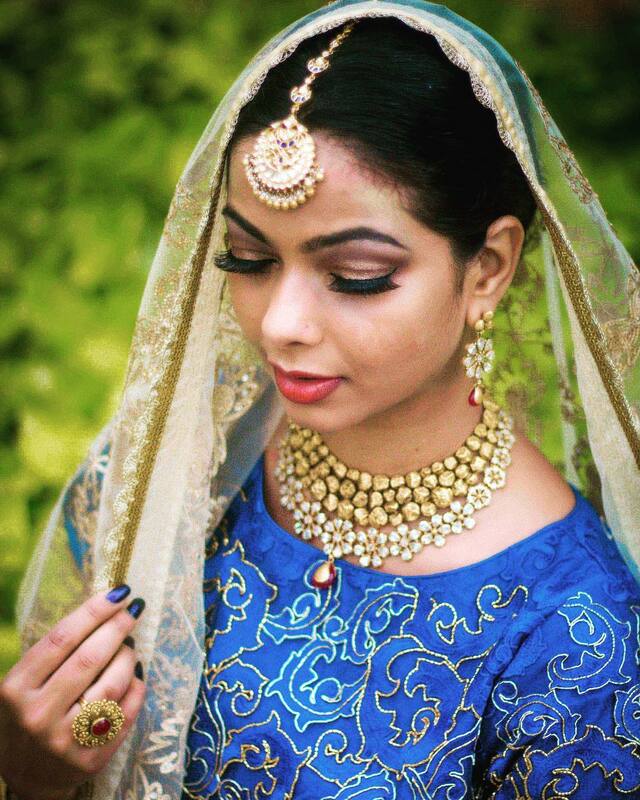 This bride’s intricate and delicate neckpiece with pretty pearl drops looks exquisite. It essentially is the showstopper. Classic floral designs are never going out. Want to know why? Just look at this bride. The neckpiece is simple yet it is elegant and gorgeous. Contrasted with her blouse color this stunning bridal jewellery is beautiful. As soon as you hear choker the first image that comes into one’s mind is a piece that sticks to your neck that you cannot wear with plunging necklines. Guess not. This bride’s choker makes sure that you can wear chokers with a plunging neckline with a few additions. And as you can see the results are drool worthy. 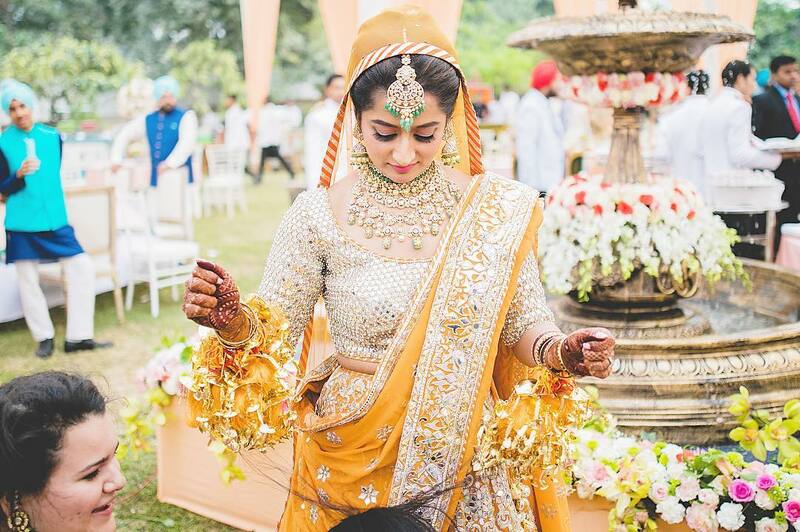 Someone has truly said beauty lies in simplicity and this bride defines it. I cannot choose which piece do I love more her jhoomar, neckpiece, earring or kalires. Exquisite isn’t it! I think that person had not seen a bride donned in emeralds. They look out of this world. You want proof! Just have a look at this bride, she looks so bright and beautiful. If you have been to any of Rajasthan weddings you may have seen this piece and drooled at its beauty. it looks so grand and gorgeous that words fall short. Our diva Sagarika Ghatge taught us how to look elegant, gorgeous and beautiful in a complete monochrome. And we all agree that she slayed the look. Virat Kohli and Anushka Sharma’s wedding was a grand affair from two star studding reception to a beautiful wedding in Italy. And she rocked all of them with her ensemble but her jewellery took my breath away. 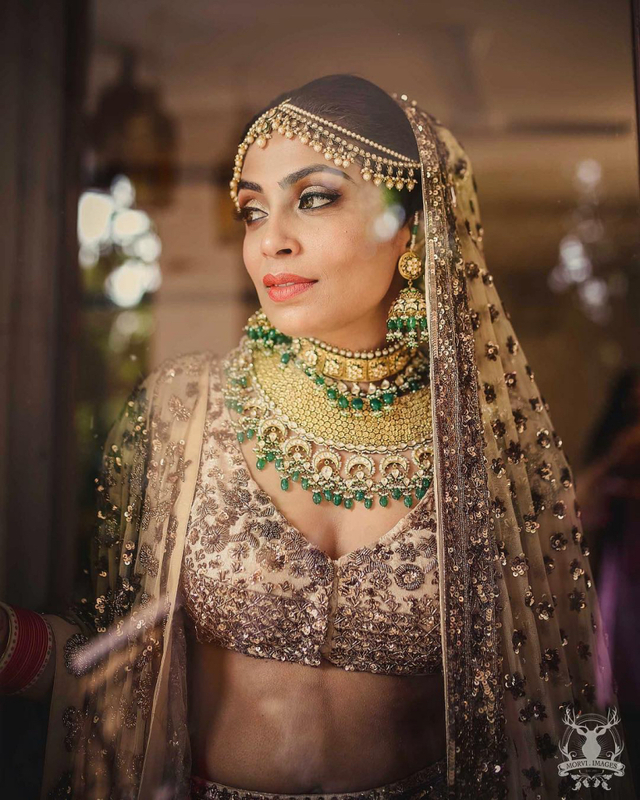 They are all a part of Sabyasachi bridal collection of statement jewellery. Each and every piece was breathtaking and beautiful. If you have picked up all your dresses, shoes and all those essential of your bridal look except your jewellery then I am sure you got some major goals to look up to and decide which one suits you the best.